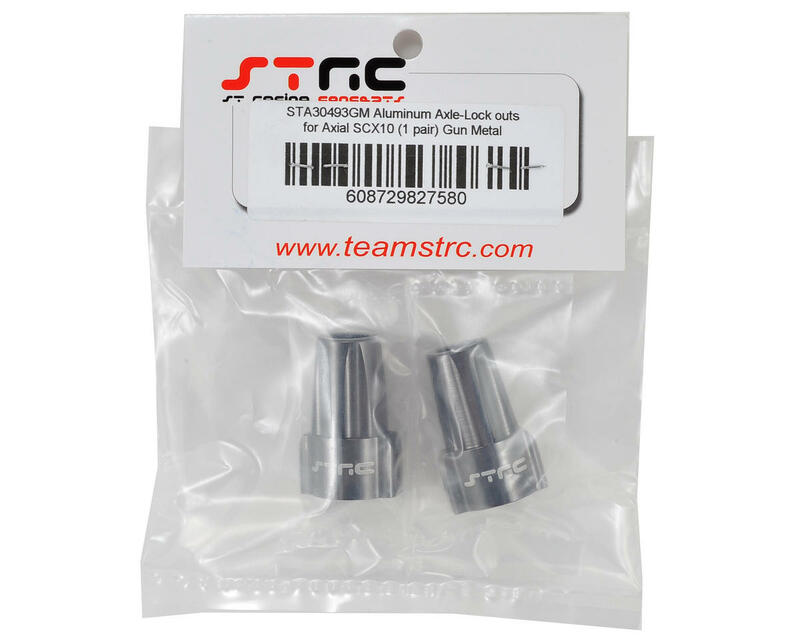 This is a pack of two optional ST Racing Concepts Gun Metal Machined Aluminum Rear Lockouts, and are intended for use with the Axial SCX10 Rock Crawler. These aluminum lock-outs are a direct bolt-on upgrade that work with the stock straight axles, and greatly improve the strength by keeping the axles running true to help prevent bending. 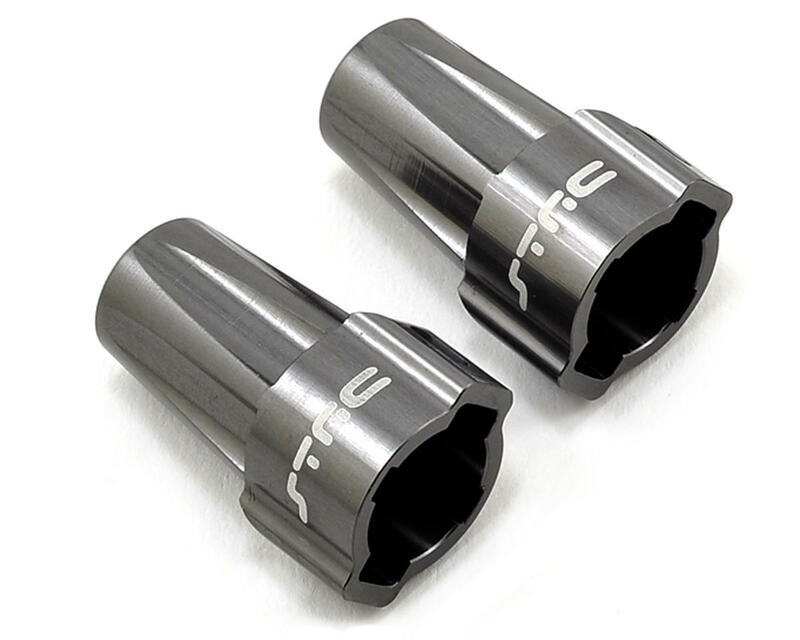 Plus, they have been machined to reduce weight, anodized gun metal, and are compatible with the optional STRC Stainless Steel Axles (SPTSTA30421).